We have neon lights kites in the skies, now there are also flashing neons on land. 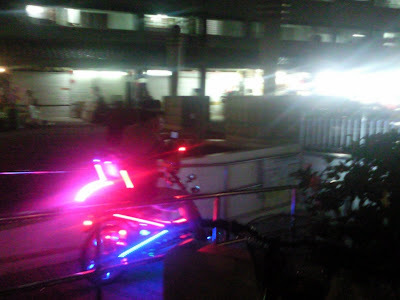 This male cyclist likes to ride around Jurong West in neon lightings! Maybe he is worried that the cars and bikes can't see him clearly at night. Wonder when can i start riding such a beautiful bike?